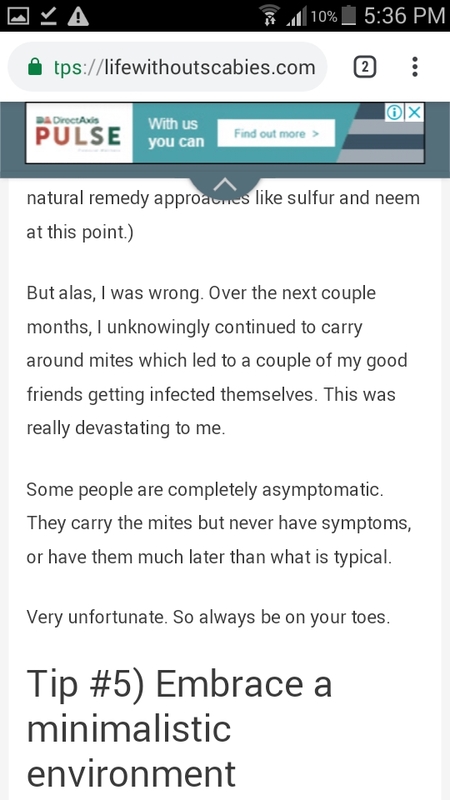 Do symptoms get better or worse? Contracted what I think is scabies last year. Started out as a negligible itch and a handful of bumps, them SLOWLY turned into a large rash on my shoulders and bit of my back. 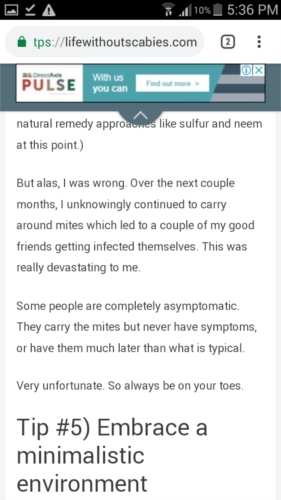 Used permethrin, but the itch never really went away. Kept getting new bumps, but they weren't in clusters. Just a new bump here and there with minor itching that was/is nothing compared to the itch I got the first time. I thought I was clear until my girlfriend slept in my bed and started itching. She said it only happens when she's at my place. Then I noticed a very straight line that looked almost like a scratch mark on her thigh, and other one on her shoulder. Noticed one on my forearm, too. 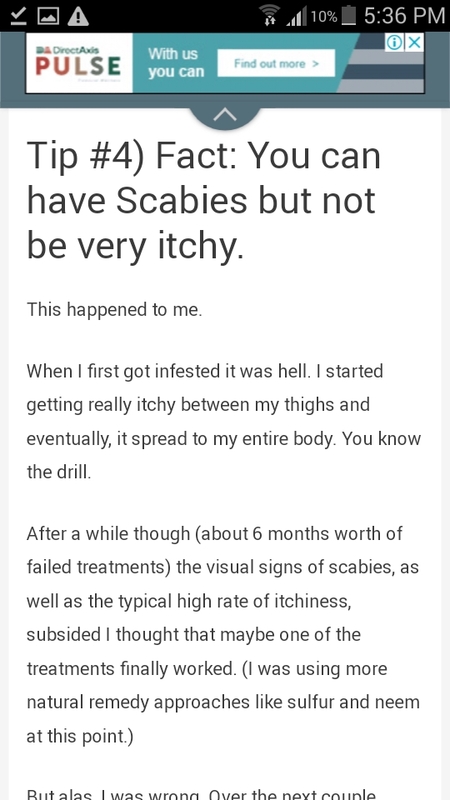 If I still have scabies, wouldn't the cluster type rash stil be spreading? And why do I have a negligible itch instead of the relentless one?